Parents and teachers looking for a quality spelling app for kids in first or second grade will want to consider SpellNow Year 2 Challenge. 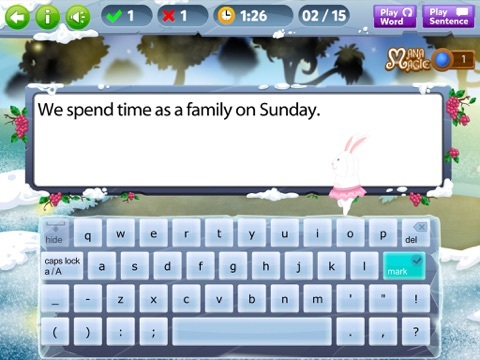 This high-quality, entertaining spelling app contains 400 different spelling words organized into 40 different lists, with each list group by a specific word skill or type kids need to master. Six entertaining games help kids master each word list and help create a wonderful learning tool for kids. 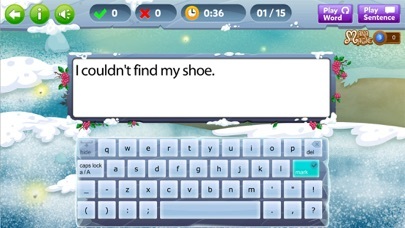 This app is full of quality features designed to get kids’ attention and make it easy for them to learn their spelling words. On the settings screen, kids can choose their favorite background music to play throughout the app. In the actual spelling section, the spelling lists are organized by term and number. When kids select a game to play, the instructions are displayed on the screen and read aloud. As kids play, the app tracks the number of questions answered correctly and incorrectly and how long it takes them to complete each game. The developers of this app were very thoughtful in how they put it all together. The spelling lists are grouped into four terms, with ten sets of words in each term. Each set of words follows a common theme. For example, one list contains words with the long /a/ vowel sounds, while another focuses on compound words. Developers have aligned the word lists with the Common Core, but even those who are not fans of the Common Core will find that their kids benefit from the app. After kids review a given spelling list, they can practice the words on that list through a series of six games: Word Jumble, Word Hide, Word Spin, Word Spell, Word Check, and Dictation. For each activity, kids hear the word aloud and can hear the word in a sentence. 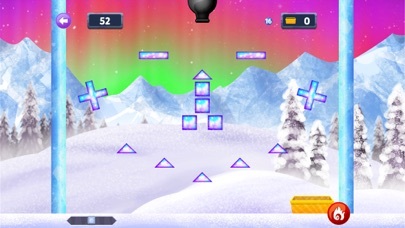 Little tips, such as “Use a capital letter,” are given throughout the game as well. 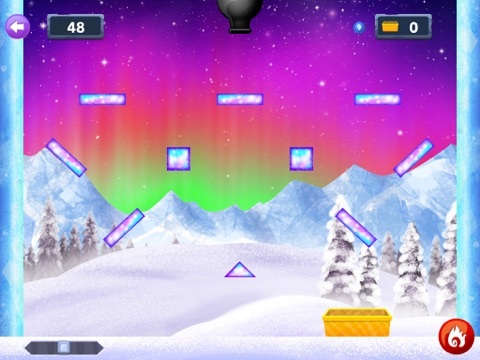 While many of the games in the app are more educational than fun, they are still designed to be entertaining. 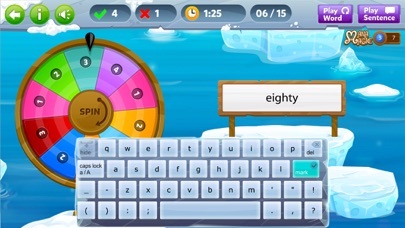 There are six different games for each spelling list and each one engages kids in a different way. 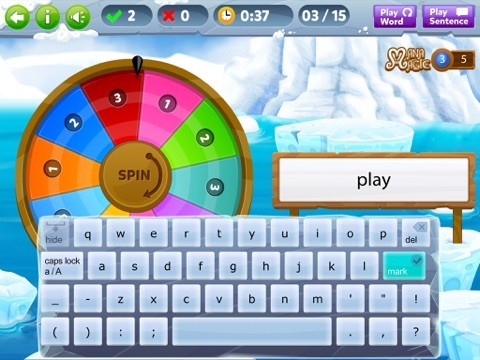 For example, in Word Check, kids tap on frozen words that are spelled incorrectly, but in Word Spin, they spin a wheel to receive a random spelling word from the list. Animated characters pop up throughout the app to reward kids for a job well done and to encourage them to keep trying. 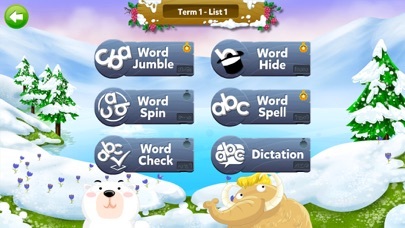 The app offers 40 different spelling lists organized by category and six different games to play with each list. 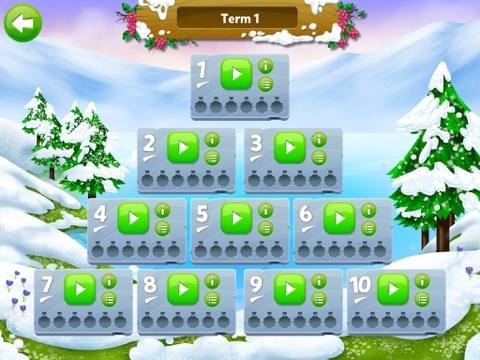 It is a quality educational app that is priced competitively and worth a download for parents or teachers with kids at this level. One of the few negatives to this app is that kids have access to external links and additional apps on the “About” screen. protecting this section of the app with a parental block would help kids focus on the spelling words and games found within the app.